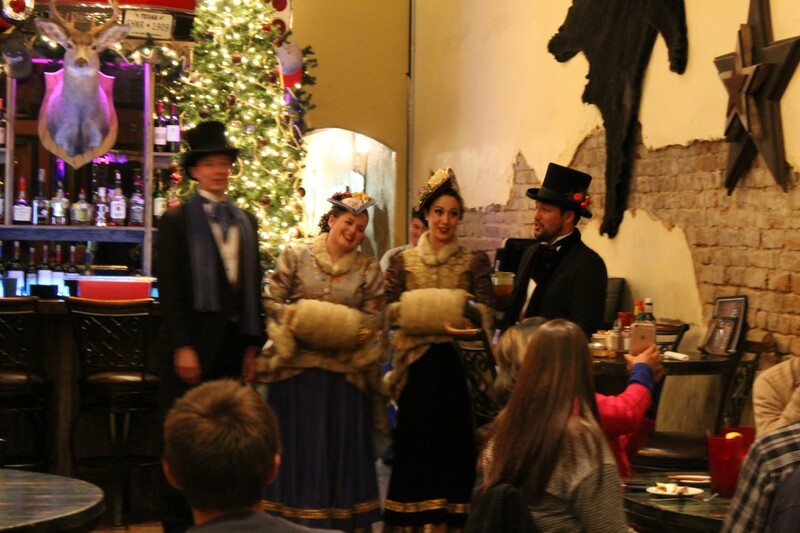 The Dallas Goode Time Carolers traveled from the Dallas area with one traveling from as far as Weatherford to Carol around Sulphur Springs square. They caroled around the plaza going into the local restaurants around the square and performing impromtu Christmas songs. Some of the restaurants visited were: Saucy’s, Redneck Cafe, Arturo’s, Burgerland. Knowing over 70 popular Christmas Carols this quartet took requests for favorites. They sang songs like “Hark the Herald”, “Jingle Bells”, and “We Wish you a Merry Christmas”. 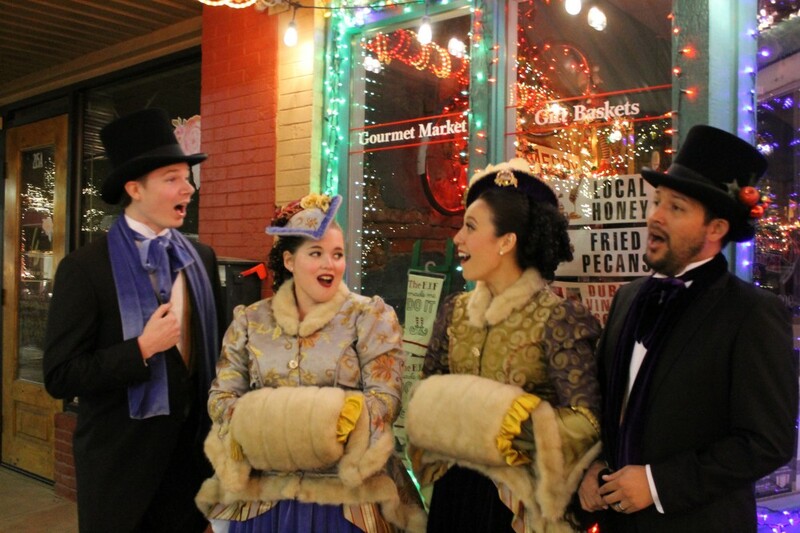 The carolers lit up the side walks as passerbys stopped to listen and enjoy the music. 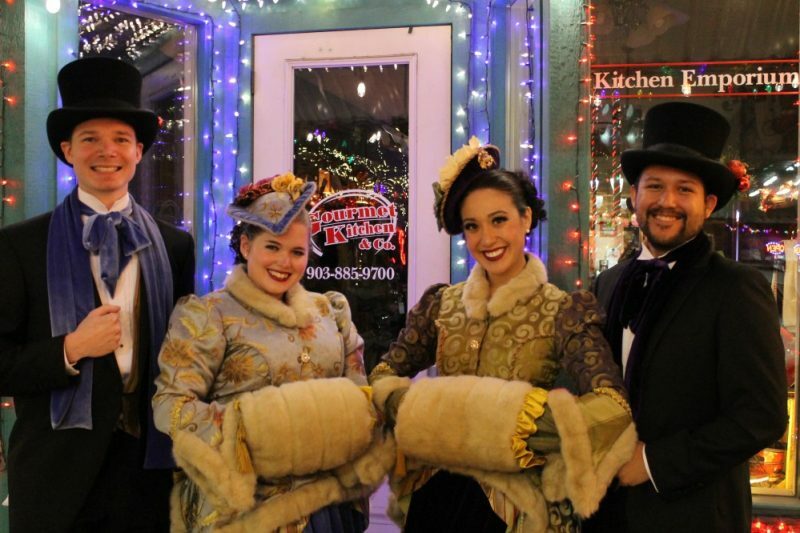 The Quartet was all smiles as they admired Sulphur Springs holiday decor, and saying that they loved the town asthetic. They had exquisite costumes looking right out of an old holiday movie which matched their beautiful voices.